MANILA – President Rodrigo Duterte said on Tuesday in Malacañang that he will support any bill that will seek the legalization of medical marijuana. Presidential Spokesperson Salvador Panelo said that Duterte on several instances has shown his support for the legalization of medical marijuana. “Since the President already made a statement that he’s in favor of limited use of marijuana… logically, then he will support… and sign any bill that would be consistent with his stand,” Panelo said in a Palace press briefing. Gray’s position is similar to that of Duterte who, despite launching a war against illegal drugs, has kept an open mind about medical marijuana. The President even claimed to have used it to keep him awake sometimes. 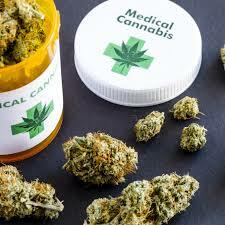 The use of medical marijuana is legal in California and some other parts of the US, Canada, and Poland, among others. Pending before the House of Representative is house Bill 6517 or the Philippine Compassionate Medical Cannabis Act, that seeks to legalize medical marijuana for medicinal purposes.